We enjoyed a whirlwind trip to DC this weekend to celebrate some of life's most special occasions. We have a new baby in the family, as well as two on the way... plus two April Birthdays! 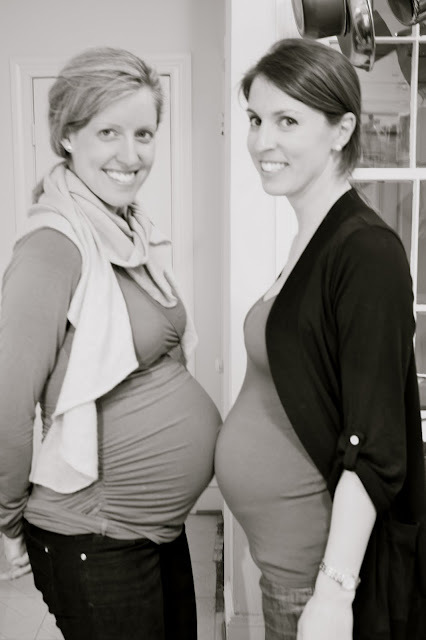 First, let me introduce to you to two of the most adorable pregnant women on earth, my sister-in-law and cousin-in-law. How cute are they!? And Kristen opened her gifts! Here's one of all the girls. On the end is my other cousin-in-law, Katie, and her sweet newborn baby girl, Talia. Also in this photo are the grandma and grandma-to-be! On Saturday night we celebrated birthday's and Sunday was Liz's shower so it was definitely a packed weekend! For some reason, my camera is having issues allowing me to upload the other photos so I'm going to leave you with just a recap of Kristen's shower. Hope you had a great weekend too!! What a brilliant theme for a baby shower. Nesting! 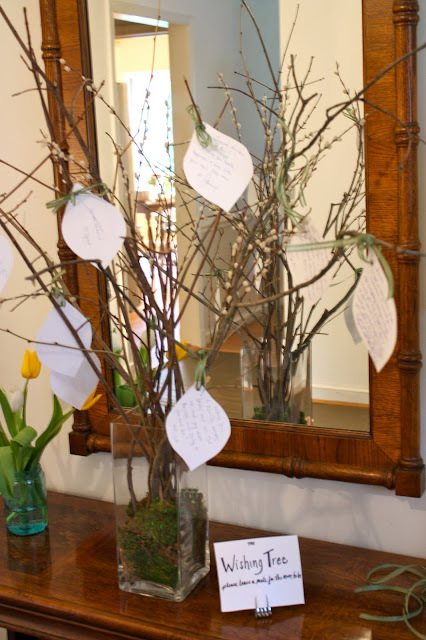 Love the little nests on the table and the wishing tree! Your family is absolutely beautiful...and how exciting, 2 more babies to come. looks like a fun weekend! i love the nesting theme! 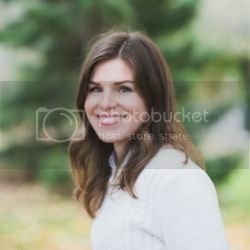 i just found your blog and am a new follower, please stop by mine! love these ideas! 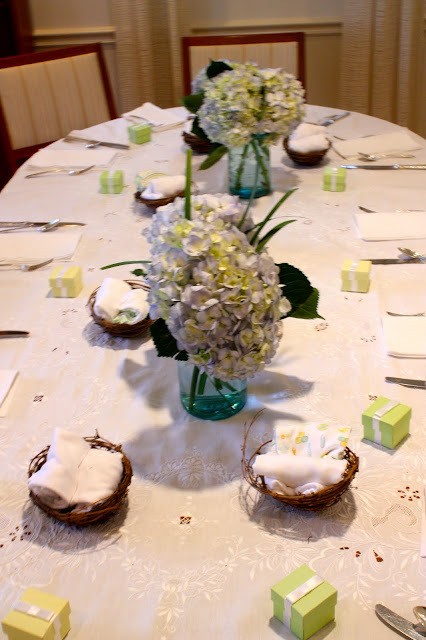 i'm getting ready to plan a baby shower, great inspiration! Everyone is glowing in the pictures. Looks like a great day. What a great party and such a creative theme! Love the variety of the candy bowls. 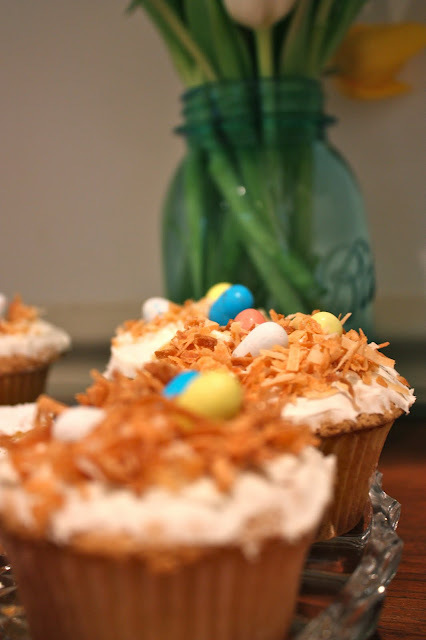 Those cupcakes looked delish too. Come check out my Diane Von Furstenberg Giveaway!